South Florida is a solo traveler's paradise. From the picture-perfect beaches, to world class shopping, to one-of-a-kind restaurants and bars, it is no wonder that millions of people visit the region each year. Miami's architecture and rich history make it one of the world's top destinations, and Ft. Lauderdale's canals and waterways attract visitors from all over the world. But nestled in between these two international hotspots lies Hollywood Beach, a classic Florida beach town that has been captivating visitors since the 1920's. Hollywood Beach's easy ocean access and village-like feel makes it a perfect solo travel destination with numerous highly-rated restaurants, small inns and hotels right on the Broadwalk adding to its yesteryear charm. 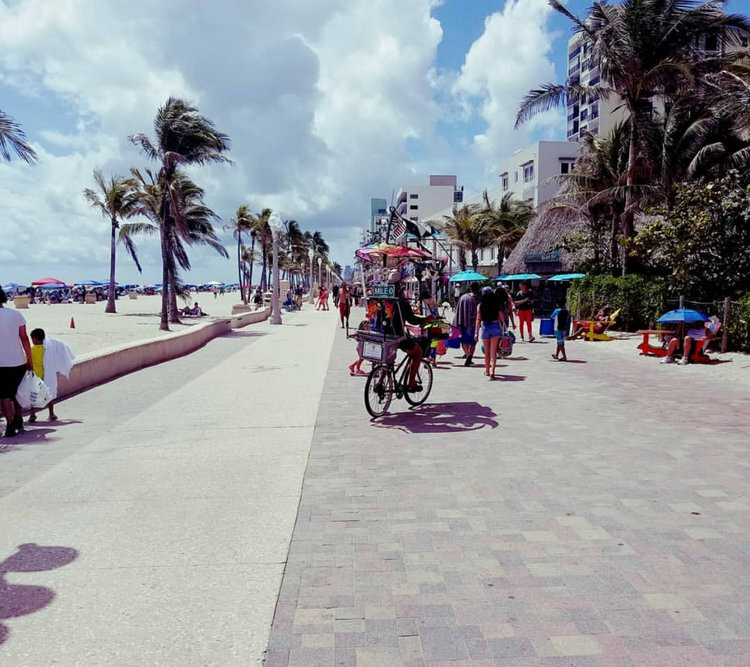 Hollywood Beach's one-of-a-kind oceanfront promenade called the Hollywood Beach Broadwalk stretches nearly two and a half miles along the Atlantic. Named one of America's Best Beach Boardwalks by Travel + Leisure magazine, this brick-paved thoroughfare is perfect for joggers, bicyclists, roller-bladers and is lined with countless eateries and cafés. Whether you prefer to stay in a high-end resort or a cozy beach-side cottage, this South Florida setting offers all the ingredients needed for the ideal vacation: year-round sunshine, miles of beach, and unique cultural experiences. Hollywood, Florida hotels, located mere minutes from the Fort Lauderdale-Hollywood International Airport, are perfectly situated to let you take advantage of everything the area has to offer. Hollywood Beach is home to countless cafes and restaurants worth trying. 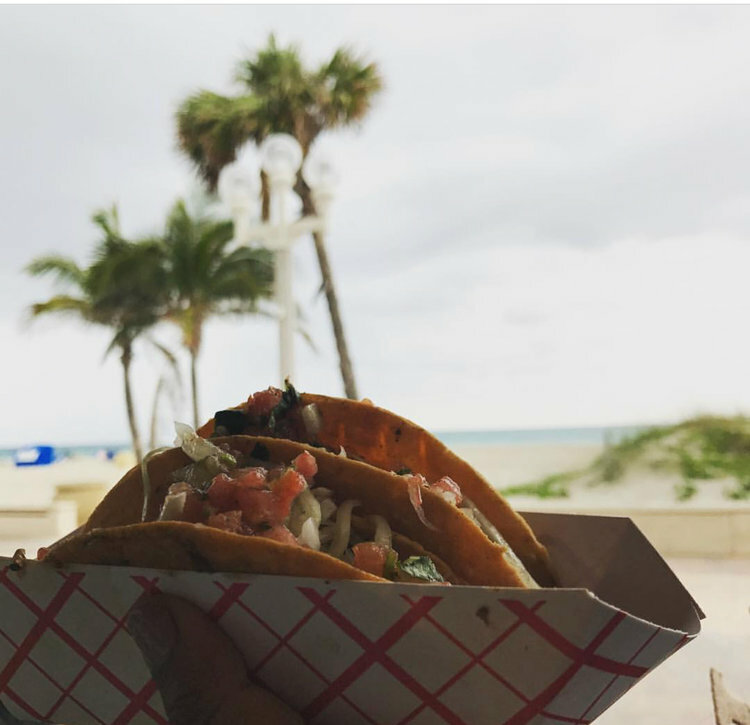 For tacos and margaritas, try The Taco Spot, a bustling tiki hut located on the Boardwalk. The LeTub Saloon, which is safely tucked away on A1A behind lush greenery, was voted Best Burger by GQ Magazine. For fine dining and famous Stone Crabs, try Billy's Stone Crab, an elegant spot with floor to ceiling views of the Intracoastal Water Way. If you want to get away from the beach for a while, take the trolley to Downtown Hollywood, which is characterized by quaint sidewalk cafés, brick-lined walks, and six blocks of unique boutiques, shops, art galleries and dozens of excellent restaurants. Just minutes from the beach, the Downtown Hollywood, FL district is on the National Register of Historic Places and is the backdrop for year-round festivals, street markets, and entertainment.